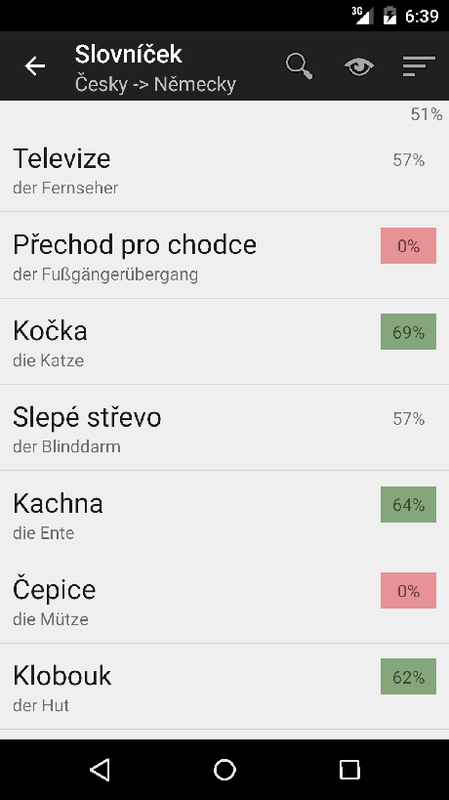 Android application for testing your vocabulary. User can download vocabularies from our API and browse and test phrases placed in it. Vocabularies are splitted into files, so user can download only selected parts of vocabulary. Vocabulary definitions are in testing phase right now, but the client application is fully functional. For more information and .apk file check our release page at GitHub. 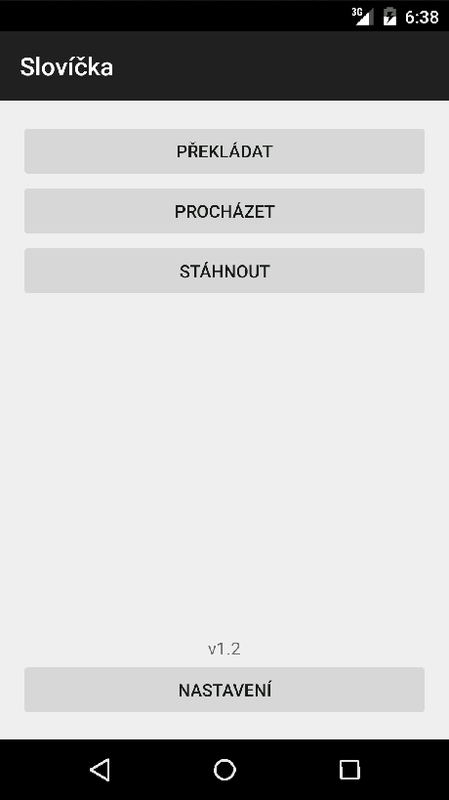 Download .apk android package of Vocabulary App. Simply open network adapter configuration page. Lock workstation and turn off monitor. About sticking windows, when you drop window near other window, the dropped window will stick the other window. Some for resizing, when resizing window and stopped near other window, the resized window will resize to the other window. Win+F3 to turn the monitor off. Win+F4 to put the computer to sleep. Win+F5 to open Network Adapter window. Win+F6 to open large clock. Win+Shift+F6 to open medium clock. Win+F12 to put the computer to hibernation. Win+Shift+L to turn the monitor off and lock the computer. 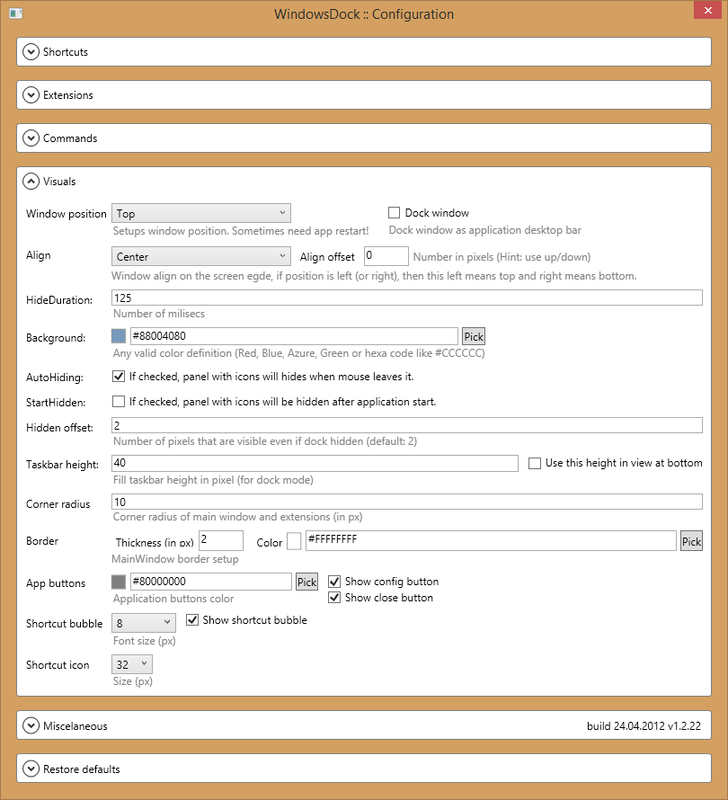 Drag and drop or resize any window near other window stick the window to the other. Fix medium clock Windows wide shotcut. 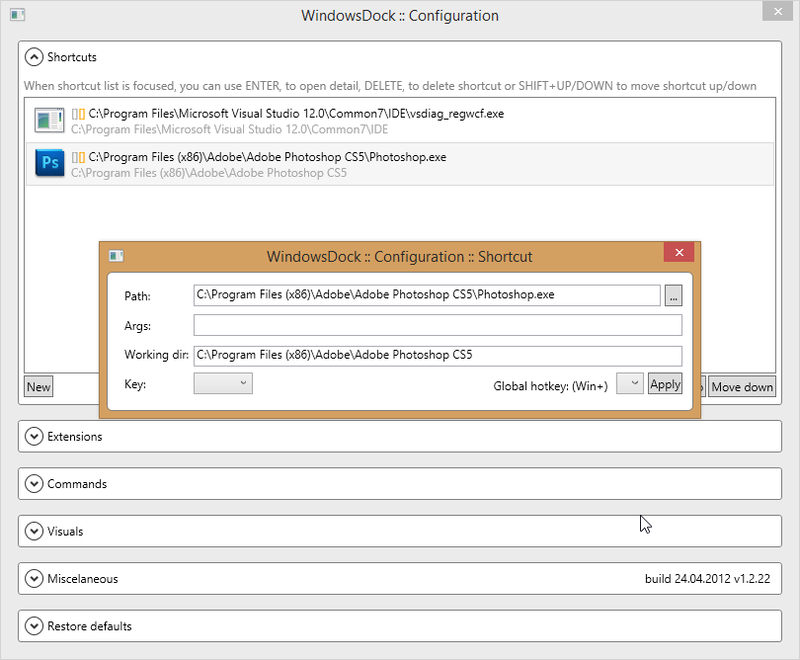 Add lock workstation global hotkey. Add Network Adapter window global hotkey. Minor fix (that ugly border around shortcut on main panel vanished). Global hotkeys for shortcuts (for only in combination with Windows key). Configuration for small bubbles on top of shortcuts on main panel. Basic setting for shortcut icon size. Taskbar height + posibility to use this as offset from bottom. 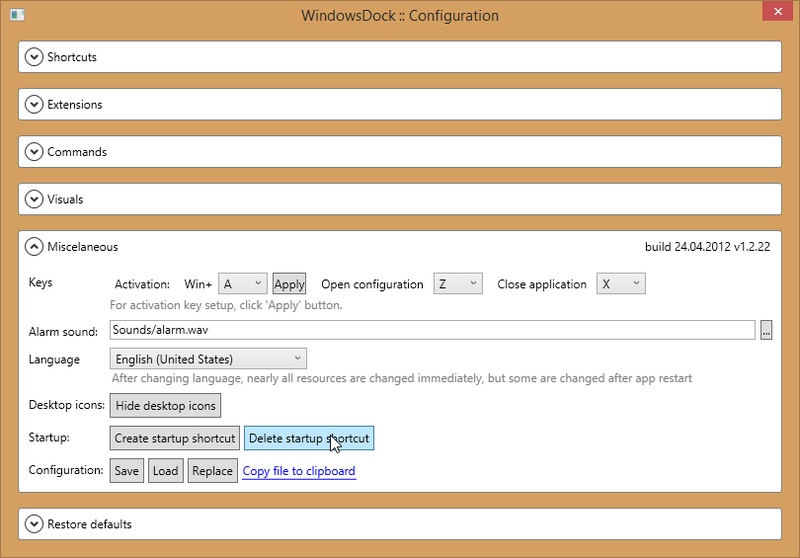 Dockable WindowsDock, you can dock main panel to one edge of screen and make it always visible. Colors for application buttons (Config+Close). Posibility to hide them from main panel. Context menu on main panel as substitute from these buttons. KeyShortcut to show desktop in Explorer. Added support for pin to right and bottom edge of primary screen. Posibility to configure activation key (Win+selected key). 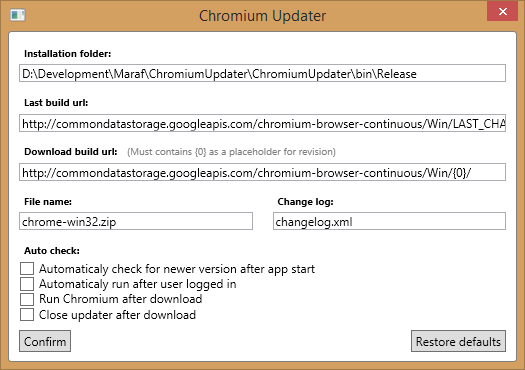 App restart after locale change nearly not needed (with exception for some resources - like datetime pattern). FIXED: Program doesn't crash when one instance is running and you try to run another (caused by binding global hotkey). Translated items in configuration dropdown lists. 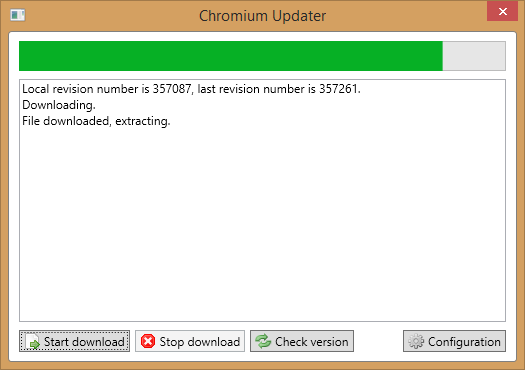 FIXED: Restart not needed after position change (left,top). Add support for setuping border, thickness and color. Border radius can also be set from configuration window. Added possibility to change (or disable) application hotkeys (Win+W remains as application activation key, but yout can change T,S,B,D,X and Z keys to run extensions and etc. Added possibility to place dock on left edge of primary screen. Added window align to screen edge + offset setup. 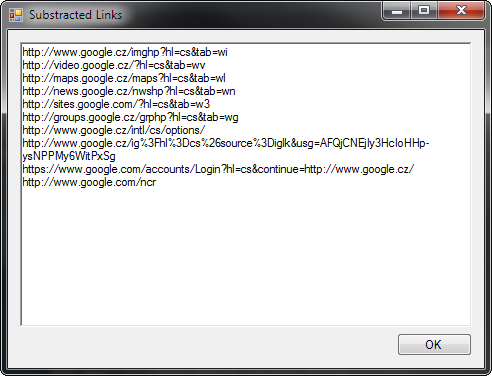 Add support for localization, right now we support Czech and English, but you can easily add support for another language, simply open application installation folder, go to Resources a then copy one of files there and name it 'Resources' + underscore + language (and country) code, like 'Resources_cs.txt' or 'Resources_fr-FR.txt'. 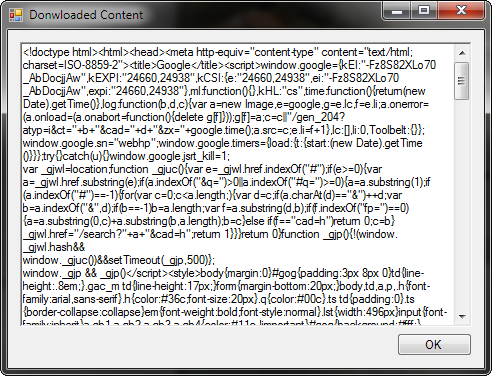 If you do so, please send to me localized file and will add it to the application. Space added as posible key to shortcut assignment. 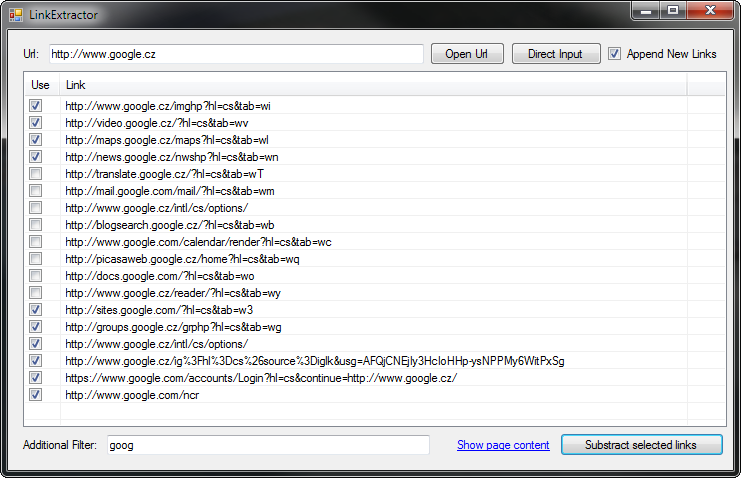 ENTER for opening shortcut detail (also DOUBLECLICK works). Working directory can be set for shortcut+script (defaults to file directory). Dock can be activated pressing Win+W. Each shortcut can have hotkey (letters+num) to run that shortcut. 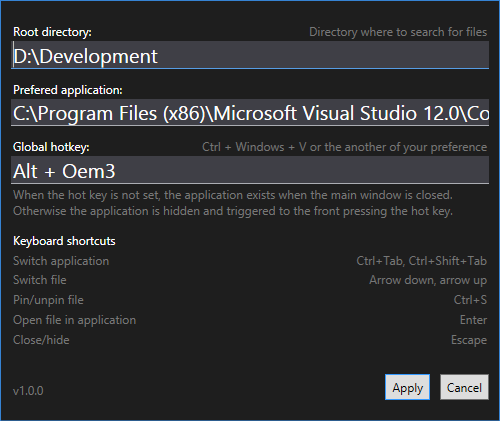 Shortcuts can share same hotkey to run multiple programs pressing single key. Buttons for manual saving/loading configuration. Button for replacing current configuration. Button for copying current configuration file. HiddenOffset - number of pixels that are always visible to top of display. 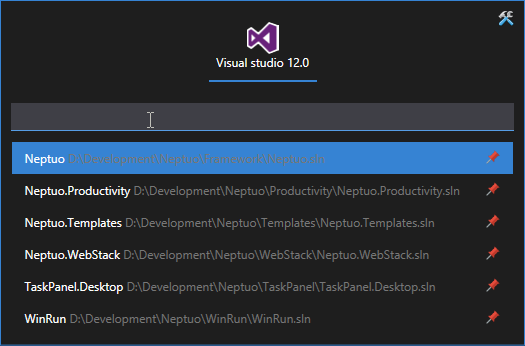 Productivity is simple Visual Studio extension containing set of missing features. 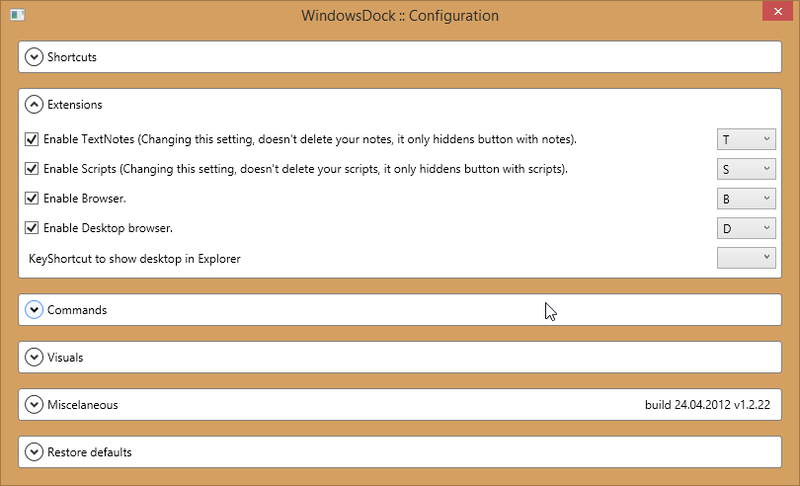 All features are configurable, and can be disabled, from the Options page. BuildInfo is tool window with information about length of last builds. 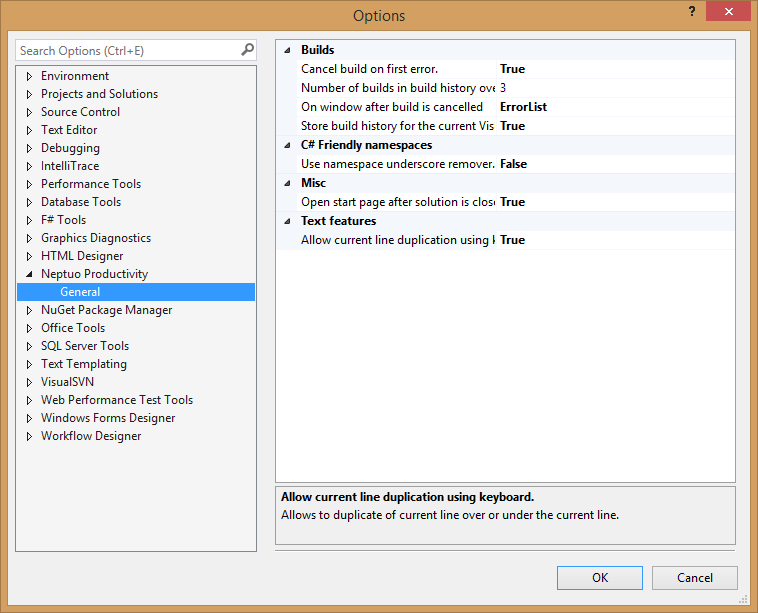 Configuration contains property for settings count last builds to display. In the heading of window is displayed summary of last builds. This info counted only on single instance of Visual Studio and is not presisted anywhere. Cancel build on first error stops build after first project fail. 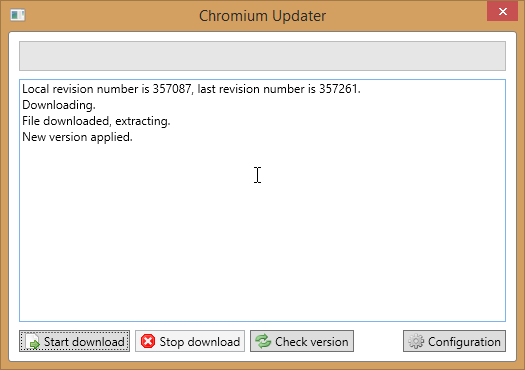 This drops pointless errors and shrinks fail build time. Show start page after closing solution will, exactly, show start page after closing solution. Line duplication provides commands for duplicating current line up and down. These commands can have keyboard shortcuts assigned, so duplicating line will be easy. Currently, duplication of multi line selection is not supported and will duplication only the line with cursor. 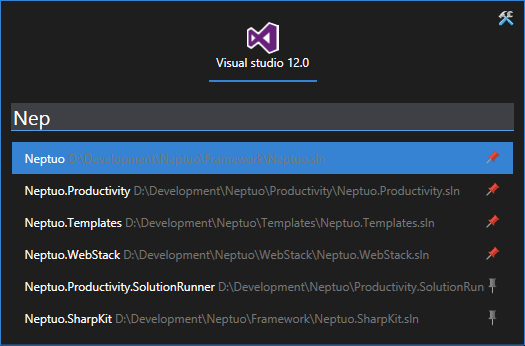 Download Productivity Visual Studio extension. 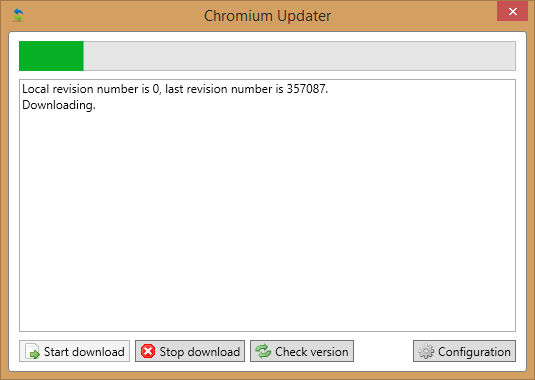 Cancel build on first error. Show start page after solution is closed.